Conducting an SEO audit can be a laborious task, depending on the size of your site. In my own consulting practice, I have a 140-point SEO checklist I use when auditing websites. However, most websites don’t need as extensive of an audit and benefit from reviewing the most critical SEO items. 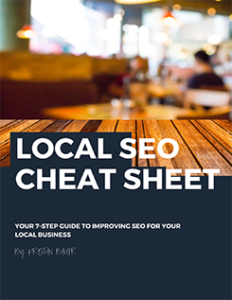 Here is a basic guide and blueprint for performing an SEO audit of your website in seven easy steps. This is the first thing I do when auditing a new website. Starting with a full site crawl is an important step in understanding how search engines crawl your site. As part of the fundamental process, search engines will crawl your website to discover your site’s content. This includes evaluating your internal linking networks and other elements in your crawl framework (such as an XML or HTML sitemap). Overall, prioritizing your internal linking networks is critical for any website. Site crawls can usually uncover errors or holes in your internal linking networks, such as any links pointing to error pages or non-secure pages (if you have a secure HTTPS website – hopefully, you do!). If you uncover any errors in your internal link networks, make sure you’re linking to quality, 200-status (meaning, pages that render OK) pages. Also, crawl reports should uncover any issues with duplication, mainly through title tags and meta descriptions. This will help any webmaster review and diagnose duplicate content issues and understand (a) if pages need to be uniquely optimized or (b) if pages need to be removed from search crawl and index. If you don’t have Google Search Console (GSC) for your website, then you should verify it now. GSC is Google’s webmaster tools and an important place for you (as the webmaster) to communicate with Google. 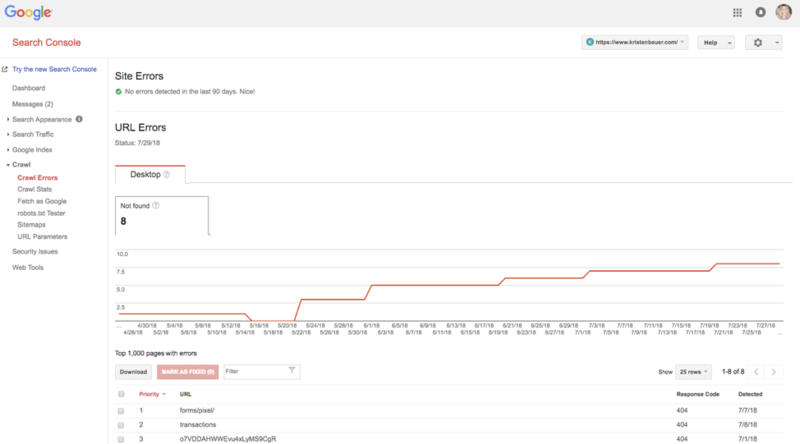 In GSC, you’ll be able to monitor your site crawl errors, indexation status and search traffic. Google still provides the referring keyword in GSC within the search analytics section (whereas other analytics tools cannot provide the referring keyword for organic search). However, an important thing to keep in mind is that GSC provides sampled data so this may not be a 1:1 match with your organic traffic analytics but can give you a good idea of top referral keywords into a specific page. 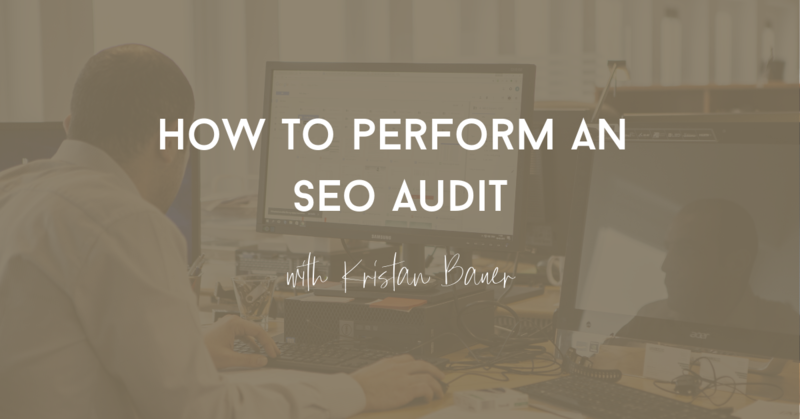 This is a super important step in reviewing your website’s SEO and performing an SEO audit… Understanding what pages your site has indexed is a fundamental part of the SEO process. Without indexing the right pages, how can you rank for the right terms? You might be surprised by what Google or Bing has indexed… Simply use a site operator search like “site:yourdomain.com” to see what comes up. There might be junk pages indexed where you need to clean up (check out this article on starting an SEO strategy outlines a few tips on how to address). There might be key opportunities identified where you can improve your search presence by optimizing title tags and meta descriptions or adding structured markup to your site. If you have a large site or different sections of your site, I like to try to segment indexation by URL or page type to see (a) how many pages are indexed and (b) how these pages are contributing to organic traffic. You might find some surprising results and a few areas where you can clean up your indexation if you find excess pages indexed. 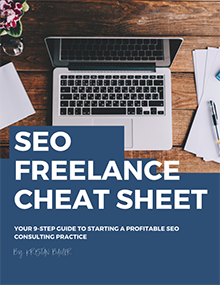 Similar to understanding the page’s you have indexed, understanding the keywords that your site ranks for is another critical part of the SEO audit process. Using tools such as SEMrush, Ahrefs or MozPro (there are many different tools and resources available that track keyword ranking but these are some of my favorites), you can identify what keywords your site currently ranks for and track specific keywords for ongoing ranking reports. By reviewing your site’s current keyword ranking, you’ll be able to see what keywords are driving the most traffic and what are your top page’s ranking for that term. This can be a helpful exercise to identify keyword ranking opportunities or verify the total ranking queries for your site. I just worked with a website in the payment processing space that thought it owned many terms in that niche. However, by evaluating current keyword ranking reports, we were able to identify significant gaps in core terms in that field. From there, we were able to prioritize content optimizations for existing content and content development opportunities to rank for new queries. Obviously, we are working on our SEO to improve organic search traffic, right? Well, that’s a great place to start with auditing a website for SEO. Reviewing your organic search traffic trends in Google Analytics can help pinpoint any unexpected drops or gains in search traffic. If you have any unexpected drops in organic search traffic, you’ll be able to correlate them against Google algorithm updates and try to identify any root issues. 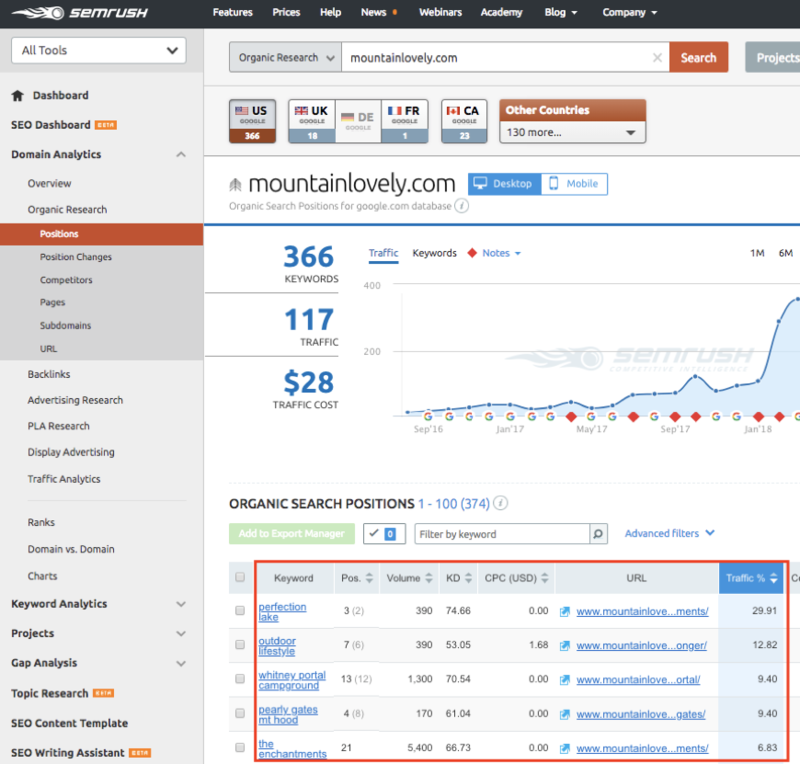 Or perhaps try to correlate traffic trends with any major site updates, such as removing pages or adding new content. Reviewing your website’s backlinks is an important step in an SEO audit and can help identify problem links before they become a problem… You’ll want to make sure you keep a clean and healthy backlink profile to avoid any adverse algorithmic or manual actions by search engines. This may be more or less of a concern for your website depending on your SEO strategy and backlink tactics. Page speed is now a ranking factor for both mobile and desktop search. Page speed also contributes heavily to user experience and conversion rates, so it’s pretty important to pay attention to (and an easy SEO issue to overlook). Historically, Google has said that pages should aim to load under 3 seconds for desktop and under 1 second for mobile. However, in terms of page speed as a ranking factor, Google has said this will only negatively affect the slowest of websites. 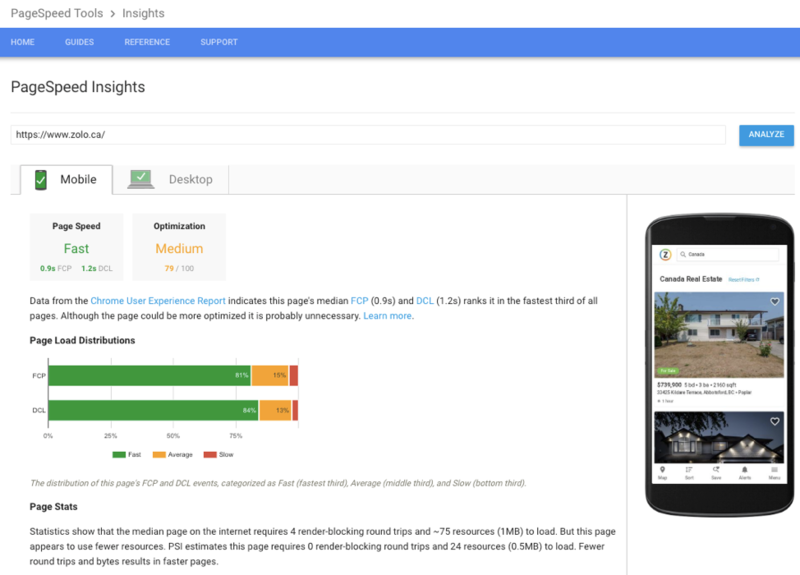 Use Google’s Page Speed Insights to get a baseline of your website’s page speed. 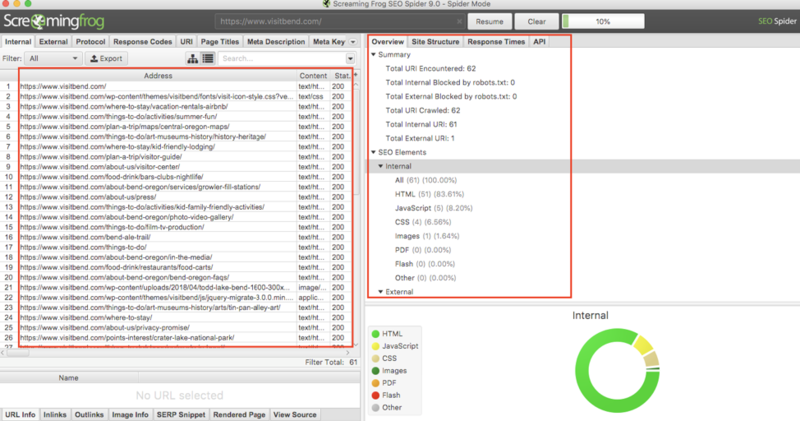 This is a basic tool but will be able to tell you if your page load times are fast, average or slow. From here, you’ll likely need to do some more investigation in Lighthouse or Webpagetest.org for specific page speed improvements if you need. 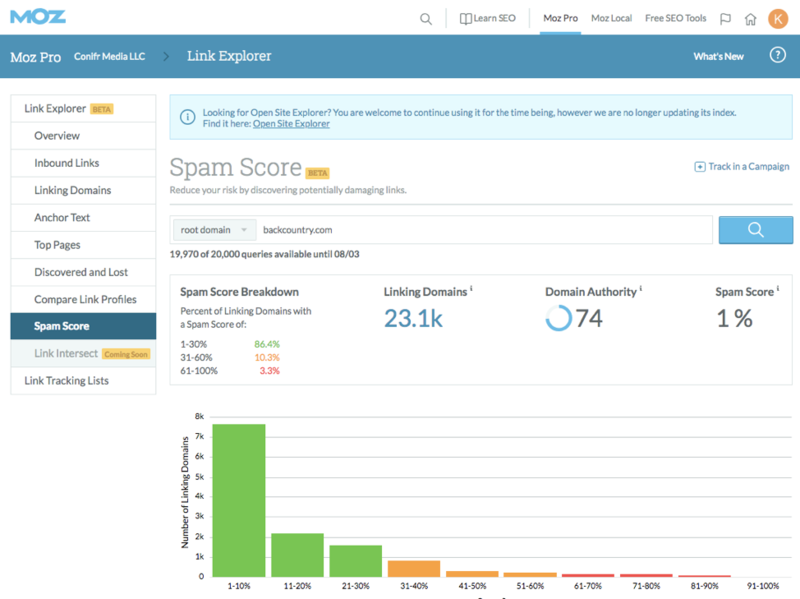 Is this a helpful guide in terms of conducting an SEO audit for your site? Any other areas you find helpful auditing for SEO? Please leave in the comments below!